Improving outcomes in public education is a hot-button topic. With schools failing, graduation rates falling, and ever-climbing incidences of teacher turnover, it is clear that something has gone wrong in education in America. What remains less clear is the solution. Part of the problem in recent decades appears to have been the liberal, big-government, one-size-fits-all approach to fixing what is happening in neighborhood schools. The Gates Foundation in particular has helped lead the charge to nowhere, most recently in its strong (though apparently ineffective) push for more teacher evaluations. Bill and Melinda Gates’ progressive foundation, notorious for its shameless promotion of population control and abortion both here in the United States and in developing nations, wields a tremendous amount of influence in public education. Critics have even gone so far as to blow the whistle on such “meddling”, and it’s no wonder--the liberal power couple’s immense wealth and resources allow them to shape public policy from behind the scenes. For better or worse. And if the recently-released 500-page report by the Rand Corporation is any indication, it has definitely not been for the better. Translation? Additional red tape for education professionals, and cumbersome, meaningless ways of evaluating said professionals. The initiative came with a price-tag of $575 million. School districts and charter networks implementing the new policies were responsible for ponying up the vast majority of the money, which amounted to between 1.5 and 6.5 percent of their respective budgets. 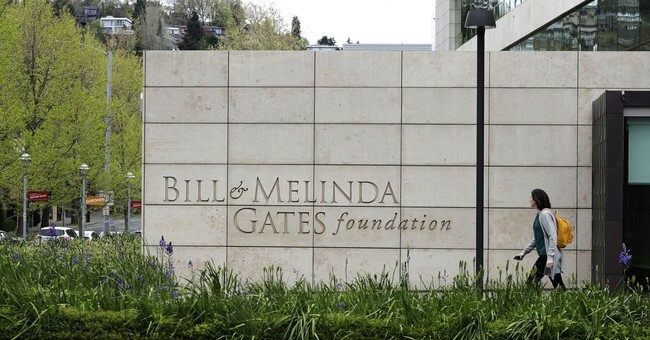 The Gates Foundation provided roughly one-third of the cost. And yet in spite of the massive amount of funding required, the initiative appears to have failed. Instead of resulting in greater equity in education for minorities from lower socioeconomic backgrounds, as was promised, the disparity actually grew. Teacher ratings, which were already high prior to the implementation of Gates’ pricy initiative, remained more or less the same. And educators rated “highly effective” were less likely to stick around than teachers rated “less effective”--the complete opposite of one of the policy’s stated goals. Additional problems with funding led some schools to abandon parts of the initiative, which proved unsustainable over time. And teachers reported that the complex evaluation system was a definite deterrent from taking a job at one of the more “high needs” schools, even in spite of the promise of bonuses, because poor student performance was more likely. But Bill Gates is not giving up his death-grip on the public schools. Though the Gates Foundation is now pivoting away from the failed “good teacher vs. bad teacher” model of understanding the nation’s education crisis, it is instead now moving towards an approach centered on curriculum. It remains unclear what, exactly, this latest series of bureaucratic, top-down education requirements will look like. Worth noting is the fact that Bill Gates played a significant role in shaping the notoriously clumsy (and equally ineffective) set of Common Core Standards, which remain in place today. If nothing else, the liberal Gates Foundation appears poised to persist in its mission to control public education in America.